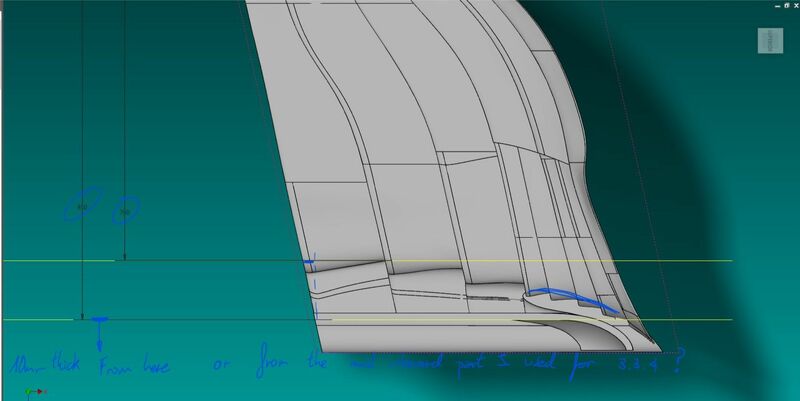 I am making a F1 front wing following the 2018 technical regulation to evaluate its aerodynamics in CFD for my end-of-degree project. I am here to ask if you can help me, because i have a problem with the endplate and tyre damage rule. The problem is that to achieve the 3.3.4 rule(95 000mm^2) I have to use almost all the visible parts I have in side view, so to satisfy the 3.3.5 rule I should have to make the 4 last flaps with a minimum width of 10mm, which mess up the aerodynamics. 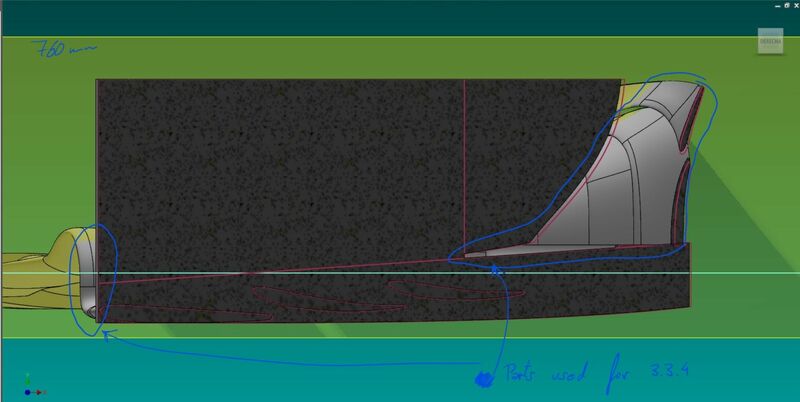 Ahead of the front wheel centre line and between 760mm and 850mm from the car centre plane there must be bodywork with a projected area of no less than 95,000mm2 in side view. In order to prevent tyre damage to other cars, any bodywork outboard of the most inboard part of the bodywork used to define the area required by Article 3.3.4, and which is more than 450mm ahead of the front wheel centre line, must be at least 10mm thick (being the minimum distance when measured normal to the surface in any direction) with a 5mm radius applied to all extremities. 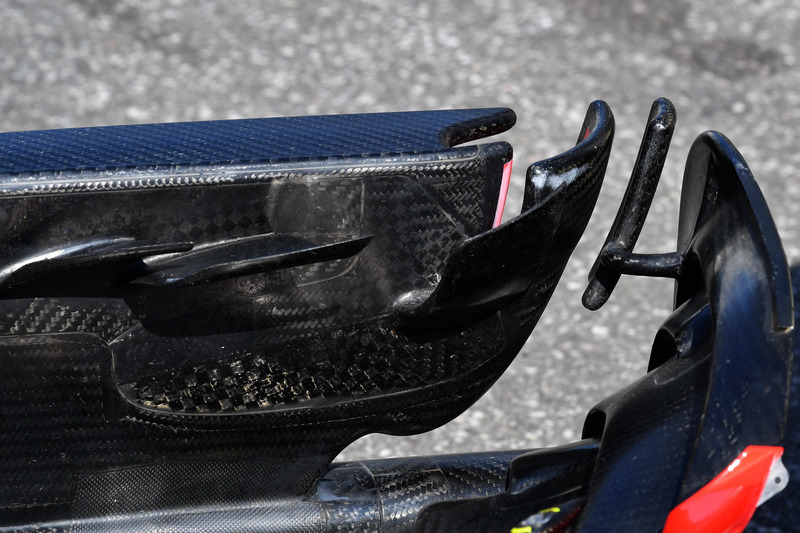 In addition, the leading 30mm of this bodywork must be of prescribed laminate, details of this laminate may be found in the Appendix to the Technical Regulations. So my question is, do anyone know how are the teams fulfilling this 2 rules? The thing that has to have a thickness of at least 10 mm is area that is on the outboard side of the area defined by 3.3.4. So, unless the 4 flaps are outboard of the vertical surface, they dont need the 10mm thickness. It's very rare that the actual flaps would extend outboard of 850mm, but if they did they would be required to have a >10mm thickness with a 5mm radius applied. It's difficult to find a satisfactory image - but here you can see the topmost element transitions to 10mm thick 50mm from the maximum width. Can I ask why you're using the 2018 regulations when the 2019 are much simpler?! First of all thank you both for answering me but i think we are not understanding each other. Maybe I am not explaining correctly, I mean that I need to use almost side view of things in the 760mm plane, and in the rule it says most inboard part used for 3.3.4, so do I have to satisfy the 3.3.4 with the computable area close to the 850mm plane? or should I apply the 3.3.5 from the 850mm plane? I can't read the text on your lower image so I'll try my best to answer and hope I've got the drift... 3.3.4 refers the the "endplate" which when projected in side view has to have an area greater than 95000mm^2 this should be fairly easy to satisfy. 3.3.5 says that any bodywork outboard of the innermost longitudinal tangent to your endplate must be at least 10mm thick with a 5mm radius applied - obviously this includes your endplate. On that Mercedes with I posted if you imagine a line along the innermost point of the endplate you can see everthing outboard of that is 10mm thick. 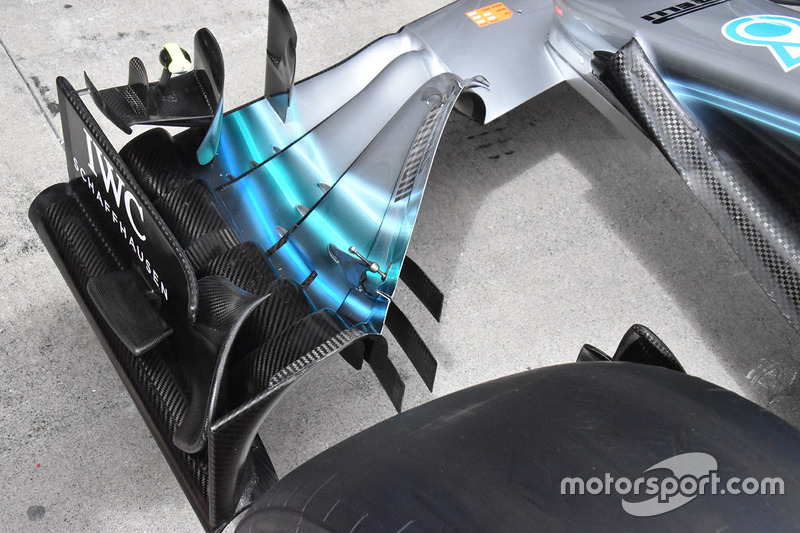 Looking at your image you would have to make the top 2 flaps 10mm thick at their rear edges. Ok, thank you for your answer. I found out that my problem is the 3.3.4 article, the 95000mm^2 are not even close to easy for me, maximum area by the regulation is 110000mm^2 so it is dificult for me because i don't reach maximum longitudinal distance due to the height restriction.